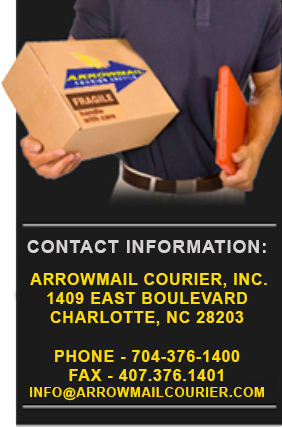 ArrowMail Courier Service offers four levels of delivery, within our service area, for items ranging from envelopes, small packages to pallets. We also offer specialized medical/ pharmaceutical delivery services to hospitals, pharmacies, laboratories and medical equipment suppliers. Our uniformed drivers are courteous, careful, and reliable and are able to handle every situation. Whenever your shipment is ready anytime through the day or night, just call us. • Same Day Service – pickup and delivery within 4 hours of your call time. When you choose the same day service, you’re saving money without sacrificing any of the quality. • Regular Delivery – pickup and delivery within 2.5 hours of your call time. Our Regular service is ideal for days when a delivery is fairly urgent, but not requiring a Rush delivery. – pickup and delivery within 1 hour of your call time. • Scheduled Deliveries – Many customers have recurring delivery needs to the same locations. By outsourcing your routes to us, we can streamline workflow, reduce administrative time and hassle, eliminate fleet issues and significantly lower your operating costs. This service is given at a discounted rate. • Out of Town Service – deliveries made outside of Charlotte Metro Area and S.C. This service is priced according to mileage outside the Mecklenburg County area. • Inter-office Mail Networks – delivery of inter-office mail within the different office locations in your region. • Legal – Specializing in the transportation and handling needs of the legal industry. Within the legal system, critical documents need to be transported and handled properly. We service attorneys, legal professionals, and government officials. • Medical/Pharmaceutical – Although medical deliveries can vary in nature, we know each one is critical and needs to be handled with care and confidentiality. As such, our couriers treat each delivery with precision, professionalism and safety.